Screening and classification of moist fine coal is a difficulty in screening technology research at home and abroad. As moist fine coal binds to each other, material adheres to the screen surface and blocks the screen hole, thus reducing the effective screening area and screening efficiency. And the viscous materials are not loose and stratified,, making the screening process more difficult. 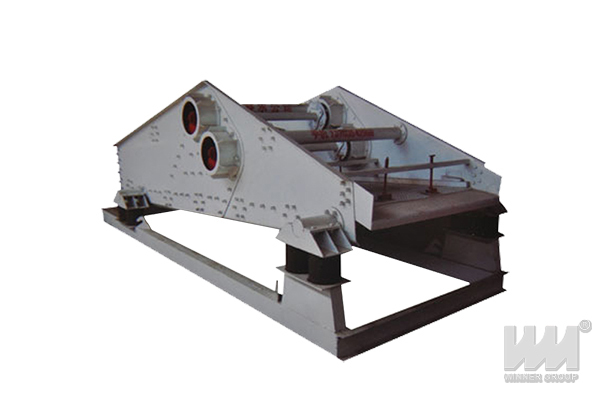 The raw coal screen designed and developed by Winner Group has fully considered the screening rules of large-scale screening equipment and moisture-grade viscous materials. The design scheme of large vibration strength and elastic screen surface can effectively solve the problem. It changes the mechanical structure of traditional sieve surface vibrating together with sieve box, adopts the motion mode of multi-section independent sieve surface vibrating but the sieve box and frame do not vibrate, the multi-section sieve surface vibrating independently from the inlet to the discharge end, and the amplitude and vibration strength of each sieve surface can be adjusted. By using this structure, the mass of vibrating screen can be reduced, the movement parameters can be enlarged and the screen equipment can be enlarged easily, which meets the requirement of screening technology and mechanical strength of large vibration strength. According to the technical parameters, Winner Group can provide suitable screening equipment for our customers. 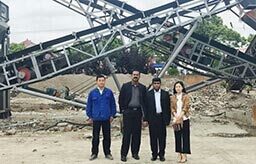 Any interest about our product please feel freen to contact us: business@wmvibratingscreen.com.